Sporting a sparkly black jumpsuit, pop star Jessie J rocked Times Square with an acoustic version of her hit single 'Bang Bang' during CNN's New Year's Eve Live celebration. Sadly, she was not joined by Ariana Grande or Nicki Minaj, who recorded the Grammy-nominated song together in 2014, but she did have four guitarists on stage to give the performance a full, multi-faceted acoustic sound. Jessie J has done acoustic versions of the song before, but the four-part harmony mimicked the radio version and gave the performance a festive feel. After her performance, Jessie J joined Anderson Cooper and Kathy Griffin for a quick interview, where the trio discussed Griffin's hatred for lip syncing and the possibility of matching tattoos. During the hilarious interview, Jessie J managed to drop several awesome truth bombs — Jessie J affirmed that she has never lip synced and reminded the world that she wrote Miley Cyrus's smash hit song 'Party In The USA'. Jessie J will take the stage again later tonight to do the annual performance of John Lennon's 'Imagine' shortly before the clock strikes midnight. The tradition was started during the 2006 NYE celebration and previous performers include Melissa Etheridge, Train, and Cee-Lo Green. 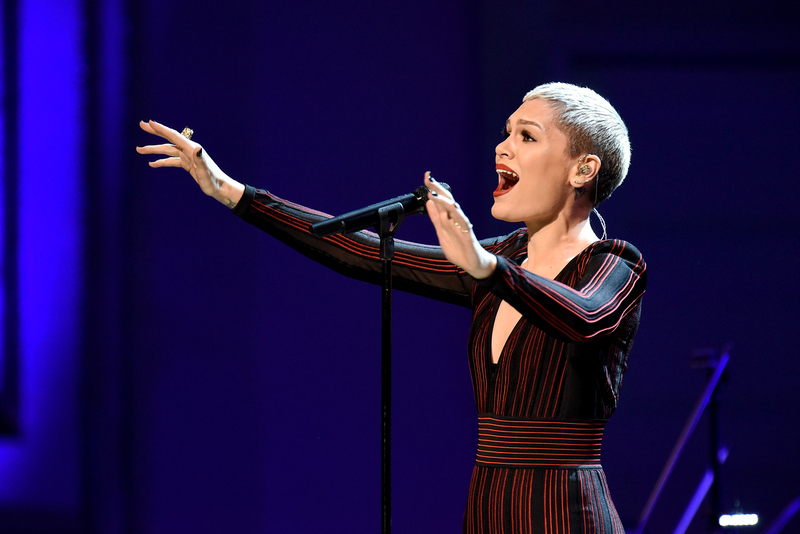 Jessie J's incredible range should make for an amazing rendition of the classic song.